What a treat! Sarai, the designer of the Hazel dress (and all of Colette Patterns! ), was sweet enough to do a write up with tips for sewing up the dress. Thank you so much, Sarai for always coming up such thoughtful posts! I always learn something new. Despite the fancy-looking seams and all the ways you can play with prints, the Hazel is actually a very quick and easy dress to sew. That’s really the beauty of it; it looks far more complicated than it is. Still, we thought a few quick tips would help get you going and make things even simpler or get your creative juices going. 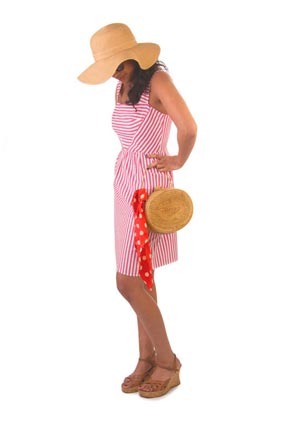 Have fun with fabric: This dress works really well with many prints. Think about ways you can use stripes, florals and border prints to maximum effect with the design lines. Hold up swatches and try to visualize what the scale and colors will look like, along with the direction of the prints. Line sheer fabrics: If your fabric is semi sheer, you may opt to line the dress. If you’re unfamiliar with lining, we suggest the excellent book Easy Guide for Sewing Linings by Connie Long. 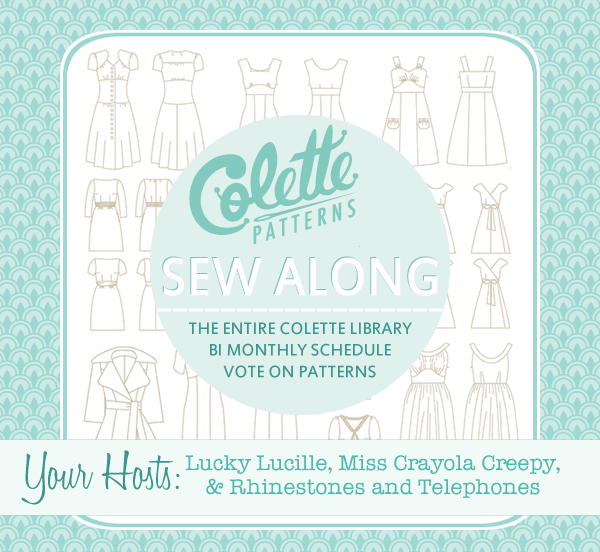 I’ll also be sharing my tips for working with eyelet for this pattern! Adjust the straps: When it comes time to sew the straps, they might not fit “out of the box,” so to speak. Our bodies are all a little different, so the straps are meant to be adjusted to the right length for you. Before you sew the straps in, test out the length. Pin the straps in the back, then pin them in the front to fit you just right. Fix gaping: When doing your muslin, look for any gaping at the top of the dress. WIth the straight-across cut, this is an important area to fit. If you have any gaping above the bust, take the neckline in a little at the center front side seam. Keep the grainline: If you make any adjustments on the front bodice, make sure that the side piece is still on the true bias. You always want that grainline to be pretty much parallel to the diagonal seam in front. Wear your muslin: Always make a muslin before cutting into your final fabric. Wear the muslin for about an hour to see how it fits you. Notice where wrinkles occur on the bodice. Is the height of the back bodice too high or too low? Is there gaping at the center front? Does the waistline hit at the right spot? The more questions you ask and answer about the muslin will help you create a perfectly fitted dress. Prevent seam stretching: Since the seams forming the V are on the bias, they will stretch very easily. The best way to prevent this is to staystitch the diagonal edges right after you cut your pieces out, being careful not to stretch them while stitching. Try to handle these pieces as little as possible when you’re not actually sewing with them. Match the waistline on the zipper: After you’ve sewn one side of the invisible zipper, make sure the waistline will match on either side. Zip up the zipper and pin the unsewn half together, matching at the waistline. You may also want to use a fabric pencil or marker to draw the spot on the zipper tape. Have fun with the hem: Play with the way you hem the dress. While the pattern calls for a simple turned over hem, think about blind stitching or even adding extra fabric for a deep hem. To make it a little extra special, add some lace tape or contrast bias binding to the inside of the hem. Great tips! I'm cutting out my muslin today-- can't wait! Can't believe I just found your blog, bahahaha! Thanks so much for this write up!! I'm definitely looking forward to the tips regarding sewing this in eyelet. Eyelet will be so pretty! How is it going with the Licorice? 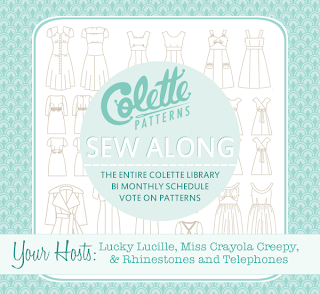 what a great opportunity to work with the ladies of Colette Patterns! I can't wait to see your finished product. Thanks for the tips!